When Fitbit announced its new activity-tracking band at CES in January, the company’s stock plummeted. At first glance, the Fitbit Blaze looked like an Apple Watch clone, with a touchscreen, notifications, and interchangeable leather, sport, and link bands to boot. Had Fitbit’s executives lost their minds? But after spending a few weeks with the Fitbit Blaze, I see the potential in a slightly intelligent fitness band. I just wish this one had looks to match its smarts. 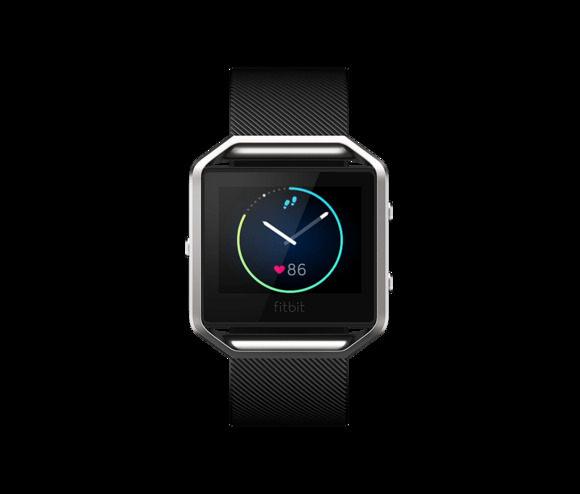 The Fitbit Blaze ($200 on Amazon) might look like an Apple Watch if you’re standing far enough away with your eyes squinted and your head cocked to the side, but it’s not a fair fight. While the Apple Watch is basically a phone on your wrist, with a full-fledged app ecosystem, the Blaze’s functions are fitness-focused, and it doesn’t pretend otherwise. See that gap between the frame and the tracker? It feels cheap. Fitbit’s first attempt to shake up its utilitarian design philosophy (see the basic but functional Flex, Charge, Charge HR, and Surge bands) just begs for comparisons to Apple. With that in mind, Fitbit should have upped the style quotient on the Blaze. Charging the Blaze requires popping the tracker out of its frame. Then there’s the Blaze charger, which is another inelegant design solution. To charge the Blaze, you have to pop the tracker out of its frame and place it in a charging cradle. To secure the tracker in its cradle, you have to close the case, then plug in the USB cable. The Blaze’s five-day battery life means you don’t have to charge it very often, but when you do, going through that whole process instead of simply resting the Blaze on an inductive charger like the Apple Watch’s is a pain. It’s not the worst-looking fitness band I’ve ever worn, but Fitbit is clearly focused on making its no-nonsense trackers a little more fashionable, so the Blaze could use some work. A thinner bezel around the touchscreen, a slimmer body, more high-end materials, and a better charging system might add to the price, but they would also make the Blaze worth buying. 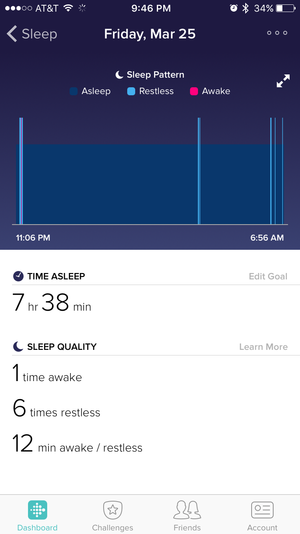 I’m docking the Blaze a few points for its looks, but there’s no denying that the watch is a perfect example of what Fitbit does best: unobtrusive and incredibly accurate activity tracking. 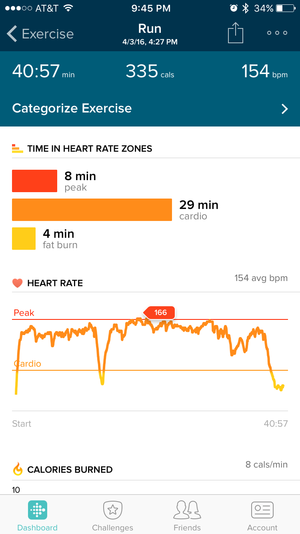 The Fitbit app’s dashboard houses all your workout data. Like any other fitness band worth its salt, the Blaze tracks steps and sleep accurately and without any fuss. But Fitbit also took some of the best features from its most expensive activity tracker, the $250 Surge, and baked them into the Blaze. The Blaze’s touchscreen lets you swipe left to view the day’s activity, choose an exercise, do a quick FitStar workout right from the screen, set a timer, view your alarms, and change your settings. You can program which exercise shortcuts are available on your wrist using the Fitbit app on your phone. I chose running and Pilates because those are the activities I track most often, but you can add kickboxing, tennis, yoga, circuit training, golf, and many more. The Blaze also has automatic exercise recognition, which is an incredibly useful—and accurate—activity-tracking function that the Fitbit Surge also offers. Sometimes I forget to start a run on the Blaze before I hit the pavement, but the watch tracks runs that are longer than 15 minutes and syncs them to the Fitbit app without any effort on my part. It also automatically tracks long walks, bike rides, elliptical sessions, aerobic workouts, and sports. The Blaze automatically tracks your sleep. Two other solid Surge features that Fitbit brought to the Blaze are continuous heart-rate monitoring, so you can see your heart rate just below the time whenever you glance at your wrist, and smartphone notifications. The Blaze will buzz your wrist when you receive messages that you can check on the colorful display (Fitbit’s first), though you can’t interact with them at all. But I didn’t mind this. The Blaze was useful for reading messages while working out, when I wouldn’t have answered them anyway. The Blaze has some of the Surge’s best features, and it’s also more versatile in terms of style. The Surge looks like it belongs in the gym, not in public, and the Blaze at least attempts to be a more flexible fitness band. Yes, it looks like a second-rate Apple Watch, but it’s far better at tracking activity than Apple’s band is (for now), with an app that offers a much richer look at your workout data. The Fitbit app is also one of the best activity-tracking apps around, with an established community for social challenges, a food log, GPS data from outdoor activity, and more. Unfortunately, Fitbit still isn’t HealthKit-compatible, so you won’t see Fitbit data in the Health dashboard on iOS unless you install a third-party app to sync that information. But the Blaze is $100 cheaper than a full-priced Apple Watch Sport, a not-so-minor detail that might make your decision an easy one. If you’re an Apple fan, buy the Apple Watch. 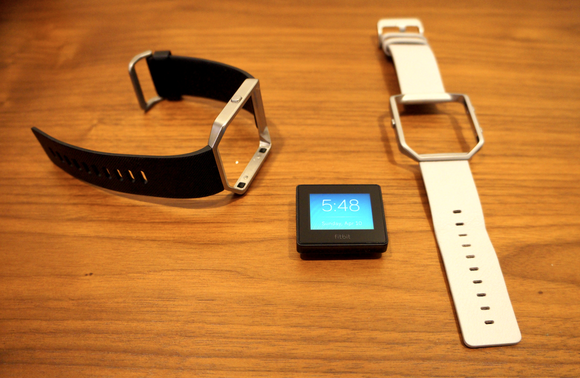 Its fitness features are solid, and it’s basically an iPhone on your wrist. 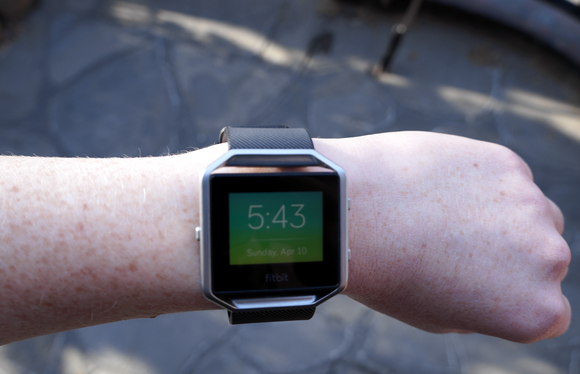 But if you’ve been using Fitbit devices for a long time, then the Blaze is worth a look. It’s not the most stylish fitness band around, but it supports basically every platform, has an established community of users, and has a lot of useful features lifted straight from Fitbit’s more expensive tracker. Fitbit needs to build up its style cred to make the next-generation Blaze worth buying without reservations. If the company adds GPS and on-board music storage to the Blaze while remaining at the $200 price point, then other fit tech companies will have a hard time knocking Fitbit out of the top slot. The Blaze has all of Fitbit's best features, but looks a little too much like a second-rate Apple Watch.